A family lands on Mars and explores the area. The father explains that they are going on a picnic. They get to Mars and unpack all the food and supplies they got. They then begin exploring. The children are excited but unclear what is going on. Eventually, they parents slowly explain that much of Earth is falling into chaos and destruction through atomic war and that they are one of the few families with spare rockets to make it out alive. They continue to explore the planet and the parents let them choose the abandoned city that they want to live in. All the while, the parents promise to show them Martians and such so once they are settled into the city they want to live, the father takes them to a water pool and points to their reflection to explain that they are now the Martians. I kept wondering if they were going to be the Martians in the end--especially with the story's name. I would need to go back and look but this feels like one of the stories from The Martian Chronicles. 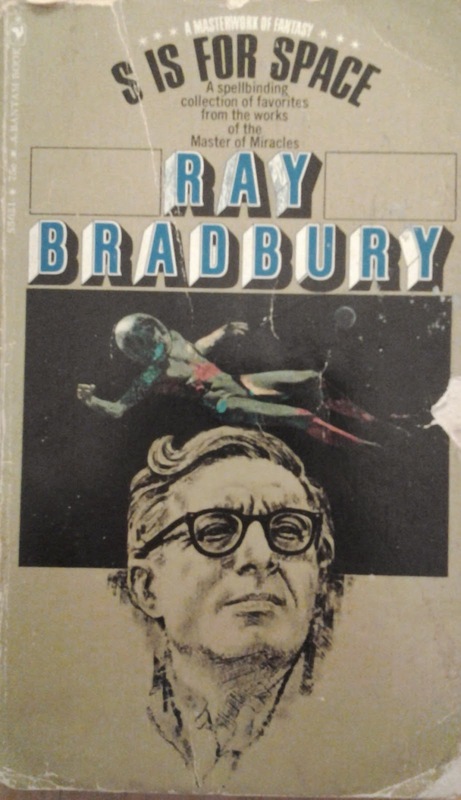 It's pretty standard fare for Bradbury--a family out exploring the planet and finding it their new home. Source: S Is For Space by Ray Bradbury. Bantam Books, 1970.